This is the sad little bookshelf I had in my office that I've been needing to upgrade. Well on Saturday my mom and I went to Ikea to shop for a client, and I picked up this little ditty for myself. Went with the tried and true Expedit. I'm feeling much more organized. looks great! 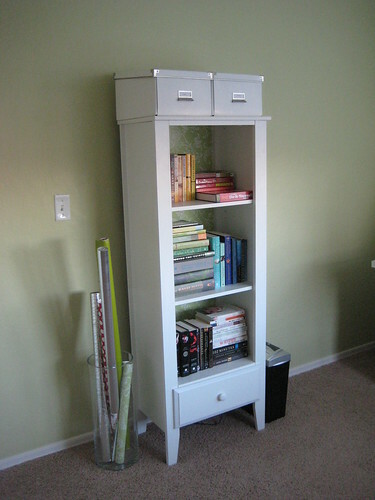 I love that bookshelf, I have 2 in the darker color but I love it in white! 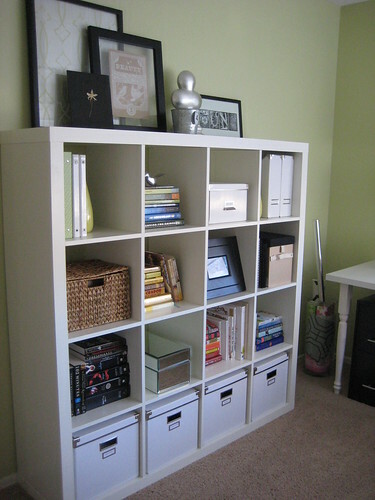 I know that everyone has them - but nothing makes me happier than a nicely organized expedit! Love it. Beautiful! So nicely arranged. Did you already have all those doo-dads, or did you have to purchase them to fill out the bookshelf? I already had everything except the white boxes on the bottom row. All this stuff had just been distributed throughout my house in other areas; it was nice to finally be able to fit everything I wanted in the office in one place. 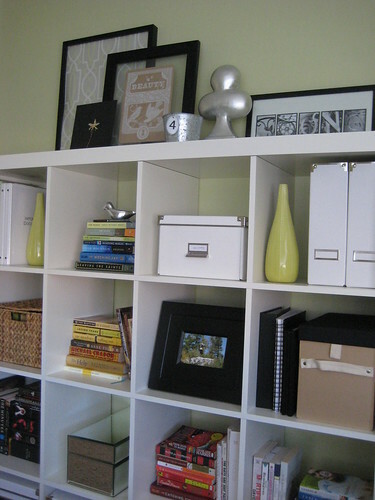 I bought that same exact shelving until about two weeks ago and it has totally made such a difference! I'm so organized it's kind of sick. Love it in your room too! 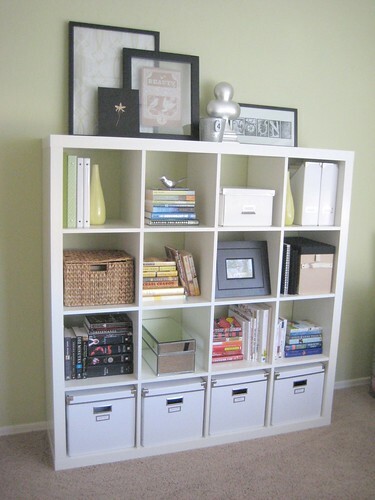 Everyone needs an Expedit somewhere in their house! ;) It looks great! Expedits are so awesome! 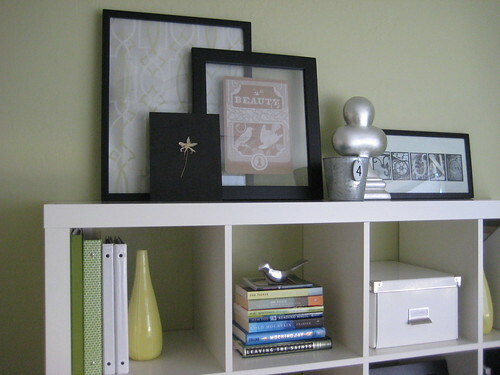 It looks great in your room! Love it! I need that in mine! What is that green color on your walls I love it! !